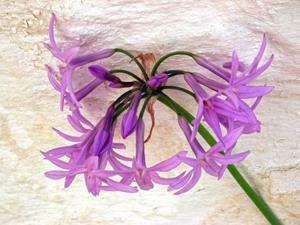 Ornamental lily of the Liliaceae family, close relative of the Agapanthus, it is also known as a mini agapanthus. It takes up less space in a garden and blooms profusely throughout the summer months. Its soft pale magenta/purple color is attractive against a rustic white-washed wall, which is visible in the original photo below. 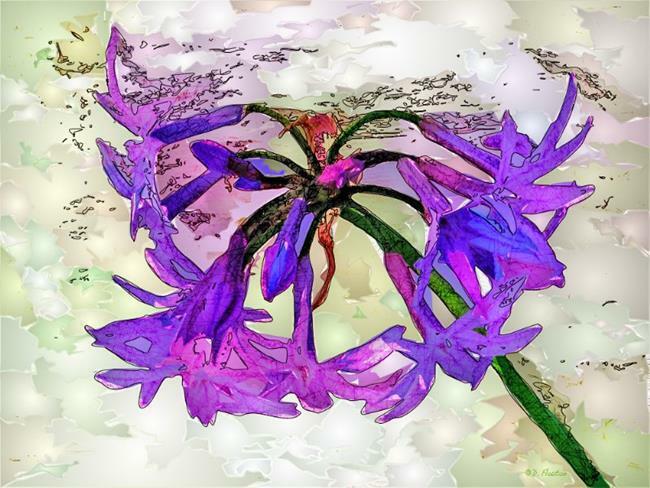 In this digital illustration the color has been enhanced and the flowers modified through various processes in Studio Artist. The background was also modified in order to render an overall abstract texture and look to the composition.